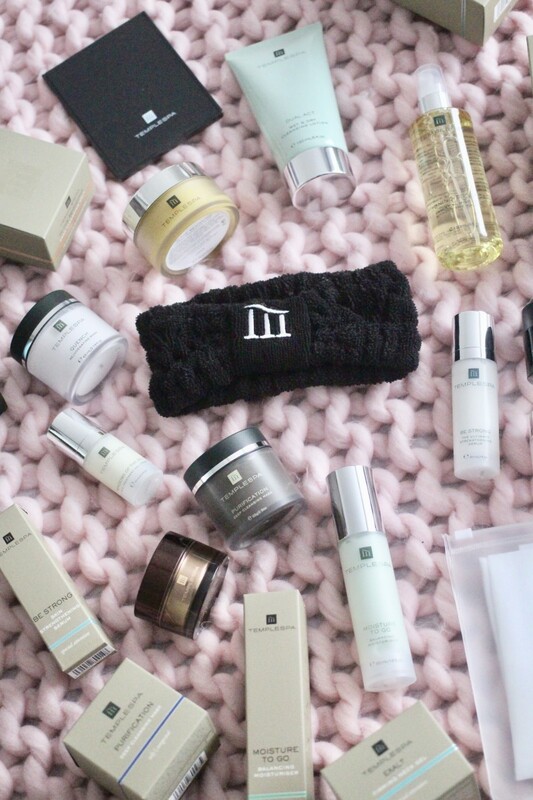 Pamper, me time, all about self-love – yeah, alright then, give me some of that. Pampering is one of my favourite things to do, give me a couple hours and I will be getting all the nail polishes out, face masks, bath bombs, anything that ensures I get the best out of my ‘me’ time. 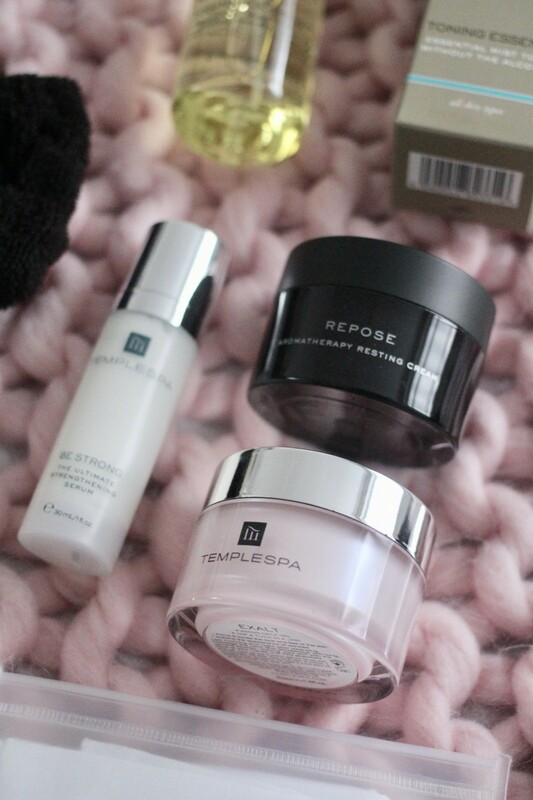 I first dabbled with Temple Spa last year when I tried the Repose Night Cream and remembering feeling like this brand is going to be one that I will try more of at some point soon. 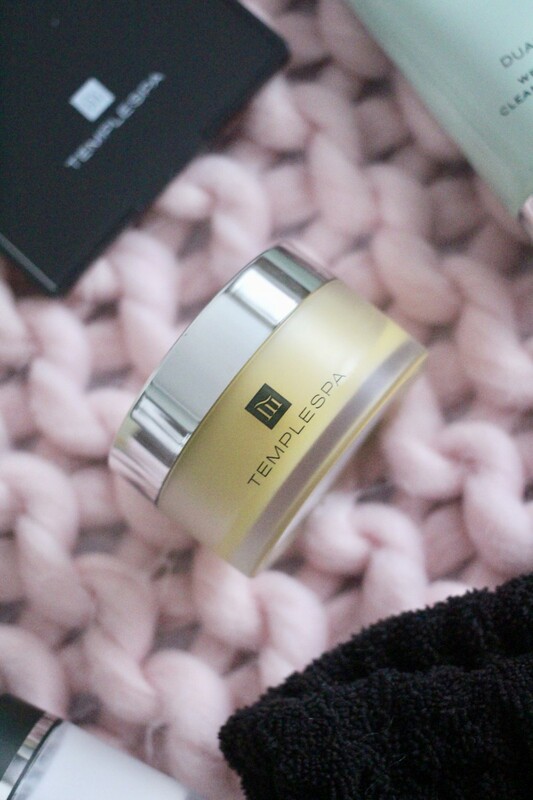 Not only did it remind me of the time I spent at the spas in Thailand, the more I used the Repose Night Cream, the more I fell in love with the texture and the way it felt on my skin. Luckily enough, I was able to experience and try out more products this year and it has only just strengthen my love for them. The product range is surprisingly huge and there’s a lot on offer, I don’t even know where to start, so I’ll just go with my favourites first (breaking tradition here, but it’s a good one). Allow me to introduce you to In The Beginning Deep Cleansing Melt, a velvety, rich cleanser that literally transports me off to dreamland as soon as it touches me skin. If you’re looking for something that nourishes as well as polishes and brightens, then this is the product for you and it does help that it smells incredible too. 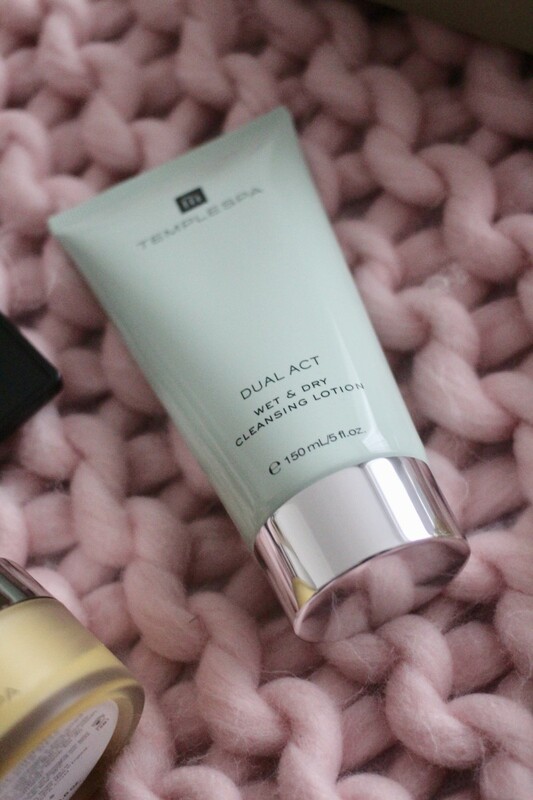 Other cleansers that Temple Spa stock for different skin types include Dual Act for combination skin, Way To Go for oily skin and Good To Go for normal/dry skin. 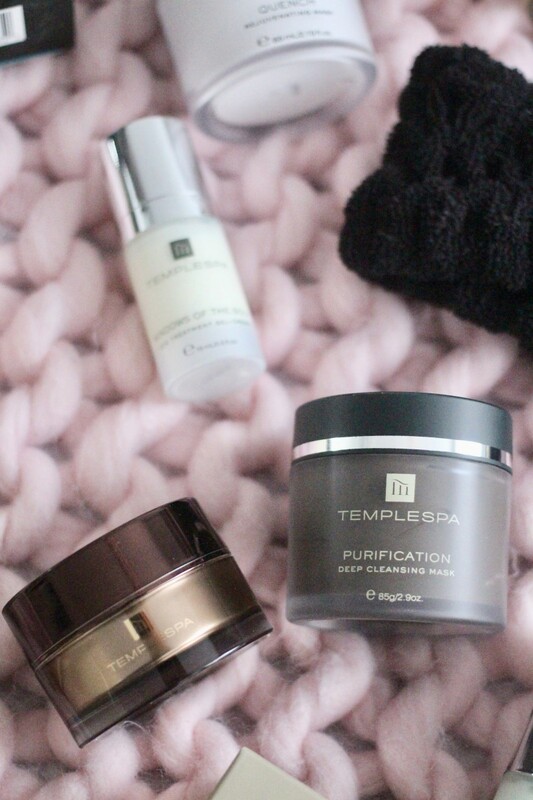 The next favourite of mine the Purification Deep Cleaning Mask – described as ‘a vacuum cleaner for the pores’, I would definitely echo that even more as it does exactly that! I love using this to detox my skin and clear out my impurities. It’s rich in texture, so a thick and smooth layer is needed – the result is a healthy glow and a refreshed complexion. 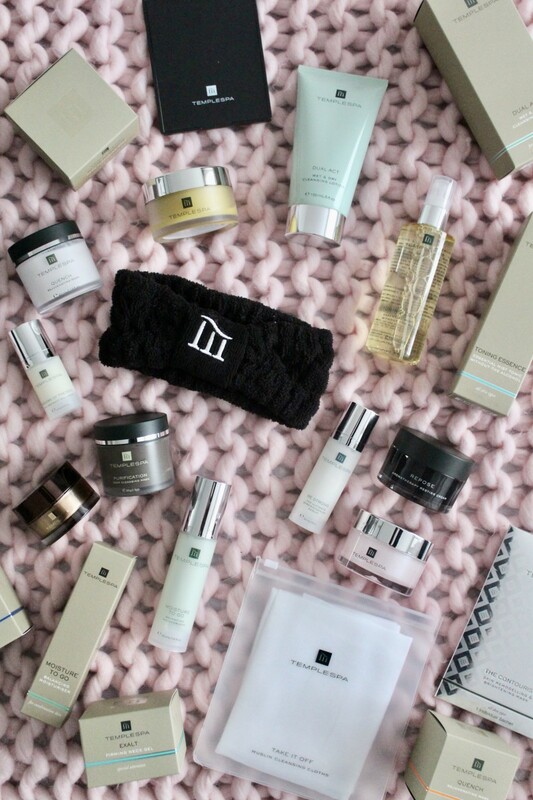 Other masks from the collection include The Power Breakfast which is a mask and exfoliator in one, Be Calm for sensitive skin, Trufflesque for anti-ageing and Quench for dry skin. On to something I’d never really considered to use in my beauty routine, but this product is a game changer, especially because I was taught how to actually use it properly. Step forward Exalt, a neck firming cream-gel concoction which tackles the ageing process by using lifting and firming properties. The texture is lightweight and somewhat cooling when it touches the skin which I love. The way to apply neck cream – as I was taught, is to place the product on to the back of your hands and using gentle pressure, swipe up from your throat to under the jaw – I was absolutely mesmerised, I’ve literally been using neck cream wrong all along. We’re almost there, bear with me, the next product is a toner in form of a spritz which I am fully all about. They’re quick and easy to use and I particularly love the fact that you can take toner spritzes everywhere with you for a quick top up. 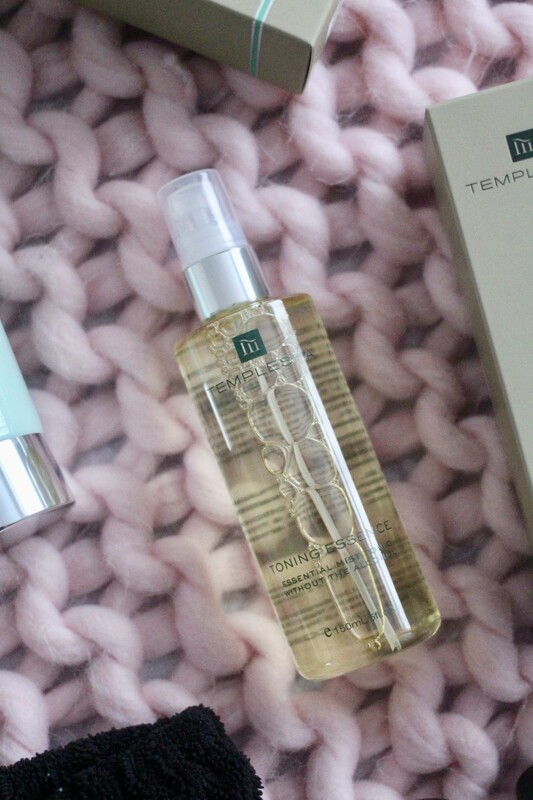 Toning Essence cools, refreshes, tones and purifies the skin leaving a great base for moisturiser. Moving swiftly on to serums and moisturisers, the finale of it all. Be Strong is a great all-rounder suiting all skin types including those with sensitive skin. The creamy texture pumps moisture in the skin while also de-stressing, soothing and leaving a radiant finish – this is my go-to pick me up when my skin is feeling a little worse for wear. 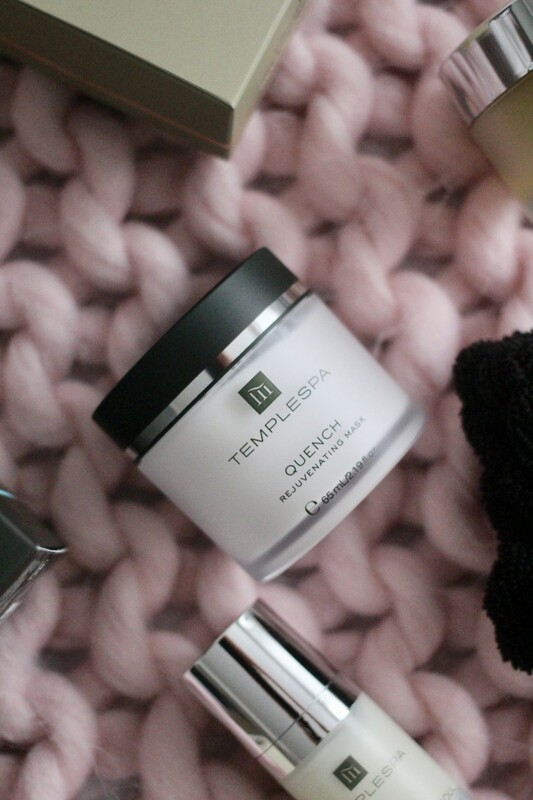 Moisturisers, for me, is always the cherry on top when it comes to skincare and the geniuses over at Temple Spa do not disappoint. 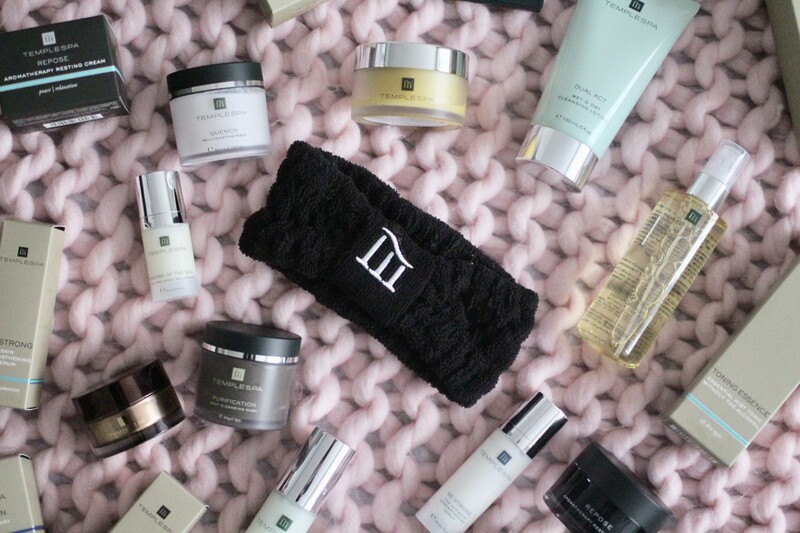 I have to mention my OG, the Repose Night Cream, because without her, I would not have known about the brand itself (I know I have already mentioned this, but I really do feel the need to tell you again, haa!). Applying night cream is actually my favourite part of a skincare routine as I get to spend a good amount of time ensuring that my skin is fully drenched because did you know that your skin absorbs a lot more moisture at night than during the day? Applying a good night cream is essential for your skin to regenerate and renew and Repose does all of that as well as soothing and promoting relaxation. 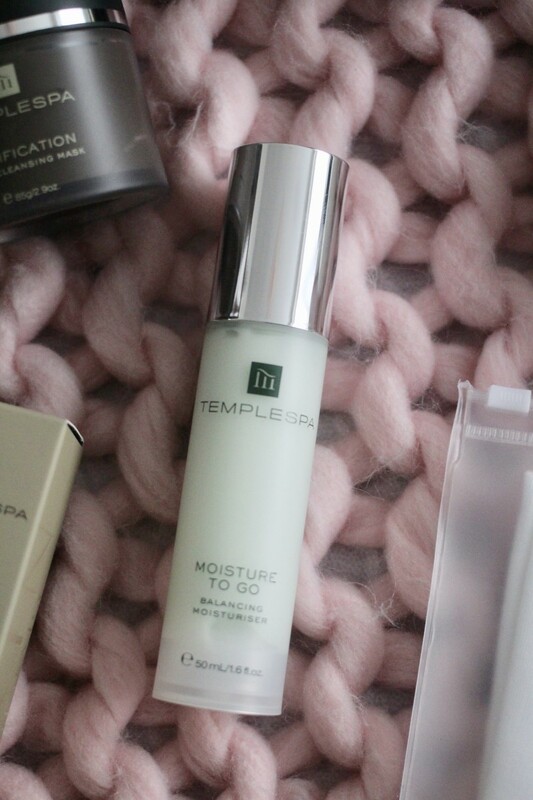 An all-rounder moisturiser that I would suggest giving a go if you want to dabble in to the brand is Moisture To Go. It’s a lightweight, hydrating lotion that is great for all skin types, in particular, combination skins and works a treat by absorbing excess oil and rehydrating dry areas at the same time. 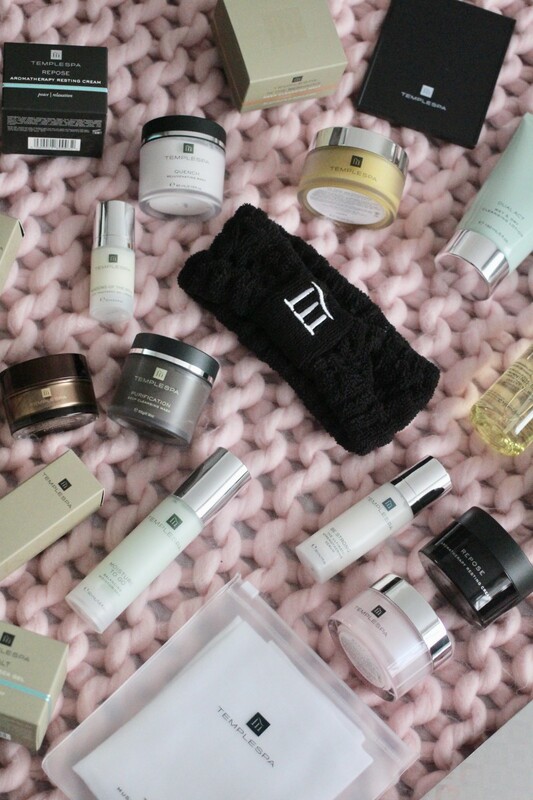 For that extra of luxe treatment, Skin Truffle is my absolute go-to. This anti-ageing moisturiser is the ultimate rejuvenating treatment that deeply moisturises and revives tired and dull skin almost instantly. I absolutely love the texture of this cream, it feels lightweight upon application, but completely transforms in to a nourishing, rich balm that penetrates the skin leaving me with a radiant and brightened complexion. 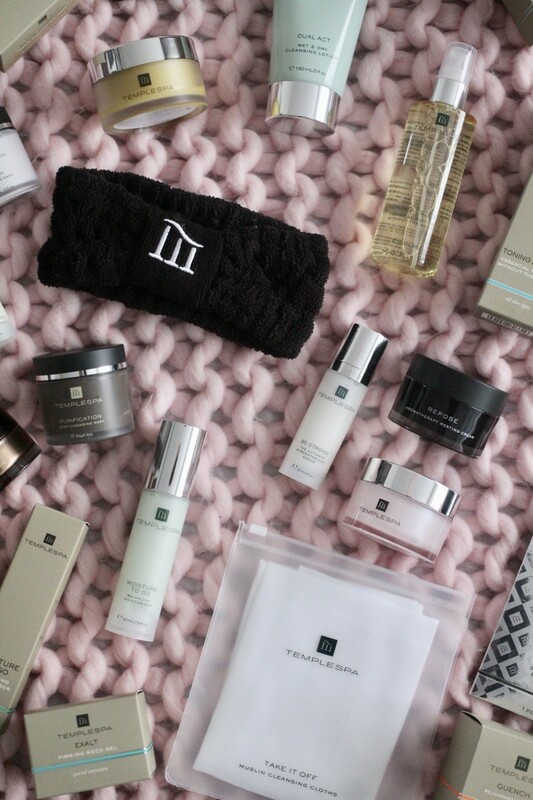 Temple Spa is a brand that I would highly recommend trying out if you fancy a luxury pamper at home. 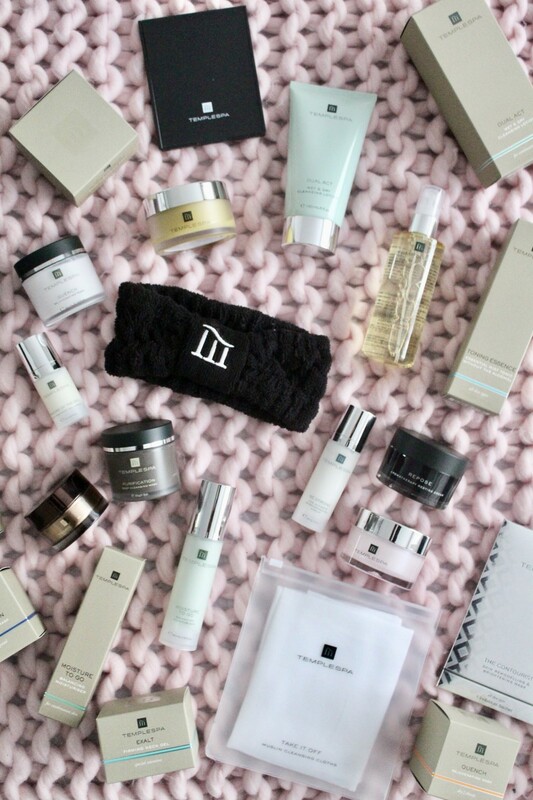 I adore their products and I’m sure you will too! *This post contains gifted PR samples.